Do you ever dream of having a career that is in alignment with your spiritual path? Or maybe you’re already a healer or teacher on the side, but you have the desire to have your spiritual work be your full time career? If you do have this sort of dream for a spiritually based career, it is highly likely that more so than a dream, it is actually a spiritual sign and calling. 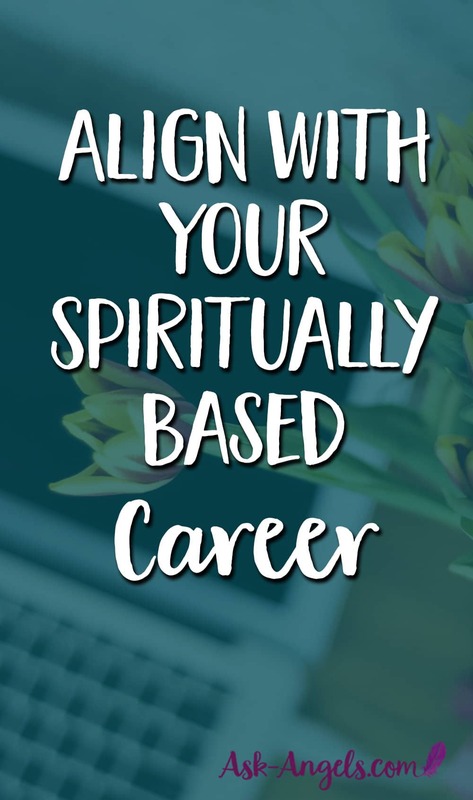 Unfortunately getting started in a spiritually based career, or figuring out your own spiritual based profession can be a confusing process, with its fair share of obstacles and challenges on the path. The great news however, is that the rewards that come with spiritual careers are plentiful on so many levels, and not just physical, but in terms of fulfillment, personal growth, and joy. In my opinion, if you are drawn to a spiritually based career, the benefits from aligning with this will far outweigh the challenges. So what types of spiritual careers might be right for you? The challenge with this question is that there is not a clear-cut list to choose from. What your soul is calling you to do may be unique, and based on a combination of careers and things other people are doing. A great exercise is to take a piece of paper and draw a line down the middle of it so you have two columns. In the left column, write, “What I'm good at” and to title the right column, write, “What I love to do”…. This could be a fun and easy exercise but it also may take some soul-searching because often times, we forget what we love to do after years of school, work, obligations, and attempting to live up to and follow other people’s dreams and visions. To help you think of things you love to do, look back to when you were a kid… What did you enjoy doing? What were you naturally gifted at? What did you think you wanted to be when you grew up? All these little things from childhood hold clues. Next think back through your time in school… What were your favorite classes, subjects, or topics which fascinated you and that you truly enjoyed? What used to captivate you at a heart/soul level? Think through your life and work experiences after school… Whether at home or at work…. What came easily for you? What did you enjoy doing? What did you do that did not feel like work? The key to this exercise is to push through the easy answers that are at the top of your mind and to come up with a full list based on as many memories as possible. Then, connect the ideas in both columns that are related to each other to find clues about what has resonated with you most throughout your life so far. Those things that come easily to you and that you are naturally good at hold clues that can lead you towards your soul-work. Also, know that sometimes ‘jobs' that seem mundane, boring or non-spiritual can have great lessons in them… Therefore, even if you find yourself to be currently working a job you don’t love, and you don’t feel like it’s leading you anywhere, you are likely learning skills and lessons which will enhance your soul work in ways that you will not understand for months or years to come. Growing up, my family went to church every Sunday, and I always loved the idea of doing my best to serve God. I consistently volunteered for all kinds of things, like lighting the candles or helping out at vacation Bible school. Just the other day I remembered one of the church jobs I volunteered for in middle school… It was to update the Church website every week with the audio recordings of the pastor’s sermons. The thought of learning how to work on a website totally excited me. I volunteered for the job, and learned how to take the audiocassette recordings of the sermons, and get them into a digital format that I would upload to the server, and publish to the Church website. Just in case you are not familiar with my spiritual work today, I now create audio recordings of the channeled angel messages I receive, I then upload them to a server and publish them on my website. That simple little volunteer job when I was in middle school and high school, totally helped me align with some of the skills I now use in my spiritual career. The funny thing is that until the other day I had completely forgotten I used to do this volunteer job for the Church… And at the time I was doing it I had no idea it was leading me towards something more. I wish I could just tell you what your highest and best possible spiritual career is, and give you the exact steps to take which will align with it and make it work for you. But really, the answers you are looking for can only be found within you. The good news is there are tons of signs and clues within your past experiences, interests, strengths, and within the times when you felt in alignment with what you love to do and what you are naturally good at. My advice? Pay attention! Being present and aware in the moment will help you to become aware of your skills, opportunities, and of the doors which are opening up before you. I also strongly recommend asking for help! Ask God and the angels to show you your very next step to align with your highest and best possible spiritual career. When you do tune into your next step, take it! Then ask for your next best step once again. Another wonderful question to ask is, “How may I serve?” When the answer to this question is in alignment with something you love and enjoy, and something which will serve others, you’re likely right on track towards living your spiritual calling and aligning with your spiritually based career. When I first started Ask-Angels.com, it started as a fun side project. It was something I did after work and on weekends when I wasn't busy working a full time 40 hour per week office job. When I was first starting to share angel messages through Ask-Angels.com, there were only a handful of visitors to the site. I remember one of the first free group channelings I did had five people who tuned in, and two of those were my aunt and mother in law… But I kept going! I felt compelled to share the powerful messages from the angels, and I yearned to spend my time learning spiritual truths and sharing these uplifting messages. I kept publishing to Ask-Angels.com, and I asked the angels to help attract people who needed to hear these messages. Over time, the number of visitors to Ask-Angels.com has continued to grow. Now that I have stuck with it for six years, the angel messages I channel are reaching hundreds of thousands of people per month, from all over the world. 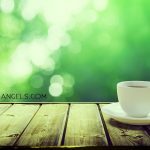 I don’t have to work a boring desk job anymore, and this has freed up more of my time to channel angel messages, write books and blog posts, and share more information like this post you’re reading right here. Learn more about Spiritual Blogging. Or See How Spiritual Bloggers Make Money Here! Now I continue to ask God and the angels to show me my next step, and I keep aligning with more ways to serve, teach, and share the love, healing and the messages of the angels, with more and more people. There have been plenty of challenges for me on this path, but I truly have been supported each step of the way. I feel blessed to be aligned with my spiritual career, and I’m sharing all of this with you because one step at a time, your version of a fulfilling spiritual career is possible for you too. Anything is possible one step at a time! PS. If you would like to learn about how you and I can work together to help you create a spiritual career of your own, Click Here! What an inspiring, informative post. I felt as if I was reading from my own head! Super relatable. I love the strategy. Most people in that moment reading it were probably curious if they had any loved hobbies they forgot about. I just finished Doreen virtue’s angel card reading course and I’m pretty excited about what’s next for me. 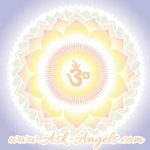 I’m also very interested in websites, business and marketing, so I’m hoping to also provide some healing online as well through angel readings and just my advice and channeled advice. I don’t know what my point is. Lol. Congrats on your accomplishments! Writing a book would be awesome!! Wonderful Melanie, thank you so much for sharing this very informative, helpful, uplifting, empowering, and inspirational post. Dear Meanie,thank you very much!!!!!!!! hey melanie your posts have always been inspirational to me and the subject of the posts have always been apt for th moment as if i was looking for some kind of message and wham the message is there for me. I enjoyed this post since it comes at a time when one door has closed for me and I am looking for the one I am to open next. I find myself coming to your site quite often to read the wonderful information that you have here. I thank God and the angels for the help you are giving me on my journey. yes thank you Melanie…..I’m wanting to be a psychic profiler..and use my medium ability to solve missing persons cases. Thank you. Thank you so much for taking the time to write this post. I look forward to completing the exercise you suggested.